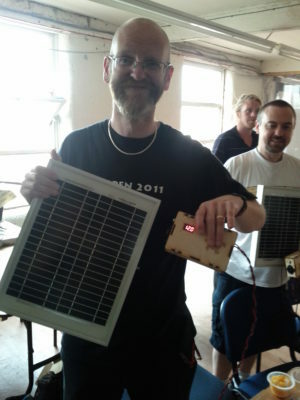 This workshop was to build a small off-grid solar PV system. 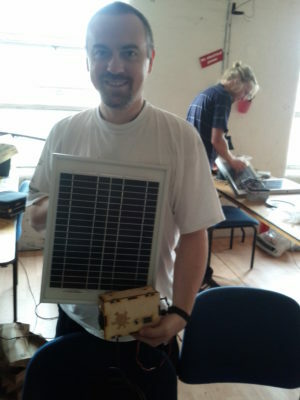 This included some hands-on training about solar energy and then, over a day, participants built their own small solar PV system comprising of a 10Wp solar panel, charge controller and battery. 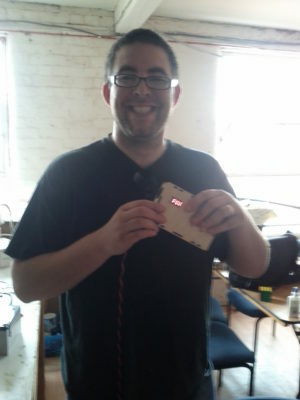 The final units had a laser-cut enclosure which had a DC output socket and voltage monitor. Many thanks for the excellent workshop last weekend. …(We) not only learnt a great deal, but also had an extremely enjoyable time and met lots of interesting people. If you are thinking of running any other courses, or even repeating the second part of this one again, we would be very interested in hearing about it.